My plastic surgery residency training at Yale -Video Journal #2 Fat Injections to the Face Facelift: What are the goals of a great face lift? 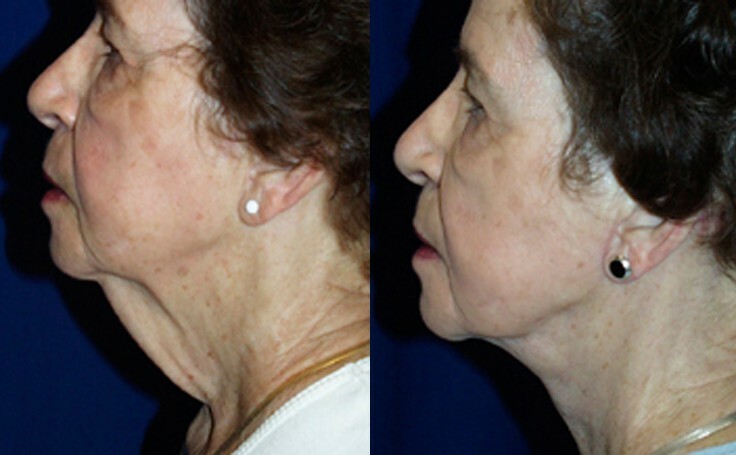 Neck Lift to tighten neck muscle and skin, often referred to as a turkey neck, on a woman in her 70's. After tightening up the neck muscle, the skin was elevated and tightened. The excess skin was removed and the patient now has a dramatic, smoother neckline. Patients depicted in our Neck Lift gallery have provided their written consent to display their photos online. Every patient is unique, and surgical results may vary. Please contact us if you have any questions.